Face is the index of the mind is a well known adage. Similarly, Résumé is the index of a Job aspirant. Resume is like a visiting card used to sell yourself as a prospective employee of the company. With a properly written Résumé you can make a good impression by which you can easily make the interview process easy for you. 20 recent color photos with Tie or Suit for Boys with white Background. Always keep one set of photo copies of all your mark sheets ready. Convert your marks into percentages and keep them ready. If you have participated in any workshops or won any prizes during college festivals keep all the certificates ready. Most of the times, the interviewer cross check your achievements with the certificates. 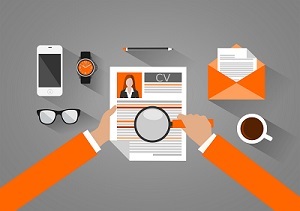 Weight of a resume is not physical weight but the importance of the details you fill in. This is the most important factor that determine your chances of selection. There are many ways you can increase the weight of the resume. a. By participating in college festivals and winning prizes in various competitions is the best way. So if you win a couple of prizes, then you can mention them in your co-curricular achievements. b. By doing internship or project during summer vacations. c. By participating in Code Vita by TCS or Tech Challenge by Cap Gemini etc and showcasing your talent. All big IT companies conduct tech challenges. Not only do you get knowledge about programming, also your resume gets lot of weight. Please search in google for other tech challenges. d. You can do a PGDCA or any PG diploma in software during summer. This shows your interest in software industry. If there is no time to participate and win prizes,..
Usually most students face this problem as they start preparing their resumes just before the placement season. There is only one way to show your talent. "Be very good at atleast one programming language". Put all your effort and learn as much as you can. Only this can save you from failure. School/college, year, board/affiliated university, marks, percentages are to be provided in the reverse chronological order. i.e., your latest year on top and SSC at the bottom. Prizes or awards won for your academic achievements during your school and college will be given. For example, If you have won any "Pratibha award" for securing any distinction or rank, you can mention here. 6. Extra-Curricular achievements: If you have participated any games or sports conducted at college festivals or in your schooling days you can mention here. If you have done any volunteer work, or member of any clubs in your college, those details can also be mentioned. You can sign the Resume by declaring all the above mentioned details are true. Your Placement officer usually sign on your resume. For text, use Times New Roman Font size 11, or Arial 9. For headings use Times New roman 12 Bold or Arial 11 Bold. Prepare your resume in MS word format with Narrow margins. Good formatting is very important and you should learn how to use tabs to format your CV. Never use spacebar to give spaces before text. Never boast about yourself in the resume and always be thorough with what you have written. You can expect many questions based on what you mentioned in your CV. For freshers I recommend 1 page resume highlighting all your important achievements. But this is not a thumb rule. If you think that you can't express yourself in one page, then go for 2 page resume. Always remember, the highlights of your career should catch the attention of the interviewer quickly. Proof read your resume before submitting. Always check for spelling mistakes. Get 5 copies of your latest resume in hardcopy. Use executive bond paper with laser printing.